They almost disappeared from Massachusetts and other states across the U.S., but the peregrine falcon - the speediest bird on the planet - has made a remarkable comeback. In 1962, Rachel Carson foretold a future of silent springs, in which birds had gone quiet after suffering the effects of DDT. One of the species hit hard by widespread DDT use was the peregrine falcon, whose eggshells thinned after the birds had ingested the pesticide. By the mid-70s, the birds had all but vanished from the Eastern U.S. and had shrunk to only a fifth of their original numbers in the west. 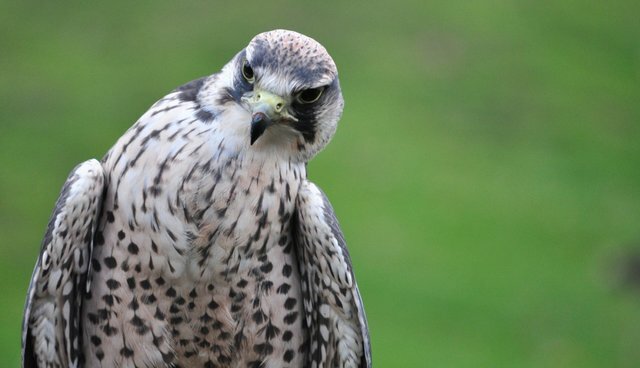 But the falcon population, rather than plummeting, is on the rise. After nearly 30 years as "endangered" on the federal endangered species list, the peregrine falcon was delisted nationwide in 1999. DDT and other organochlorine pesticides aren't a risk, having been restricted in the decade following "Silent Spring." States could still list populations as endangered within their own lists, however, which Massachusetts has done - until now. Officials in Boston believe the time is right for the falcons to be down-listed, from an endangered species to a threatened one. "It's nothing short of a success story," Tom French, Massachusetts Division of Fisheries and Wildlife assistant director, tells Gloucester Times. "This is a species that we've worked very hard to restore." The Massachusetts Audubon Society applauded the move, emphasizing that the state wisely chose a less-risky path of down-listing, instead of delisting. Although the falcons have avoided a raptor rapture - they're found on every continent save Antarctica, in fact - there are still a few threats to the American birds. The United States Fish and Wildlife Service points out that, although DDT is no longer an issue, peregrine falcons occasionally encounter other poisons; falcons are also illegally shot and can collide with buildings.